ALBUQUERQUE, New Mexico (AP) -- Dozens of paintings and other works of art from the estate of comedian Garry Shandling will be offered for sale at a show in New Mexico this week. Organizers of the annual Objects of Art Santa Fe say this will be the first public viewing of Shandling’s collection, which includes Navajo rugs, Southwest furniture and pieces by Mexican artists Francisco Zuniga and Alfredo Ramos Martinez. More than 40 of Shandling’s personal pieces from his California home will be offered, ranging from a couple hundred dollars to more than $40,000. The 66-year-old comedian, who died in March, stopped in Santa Fe often to vacation and buy art. Some of the pieces up for sale were originally purchased in Santa Fe, and it was through the recommendations of family and friends in California and relationships among art dealers that the pieces are finding their way back to New Mexico’s art capital. “Obviously Garry enjoyed the Southwest and enjoyed Santa Fe and this style of work so it was an exciting combination that we were doing the Objects show at the same time that they were ready to release the collection,” said Kim Martindale, a co-producer of the show. 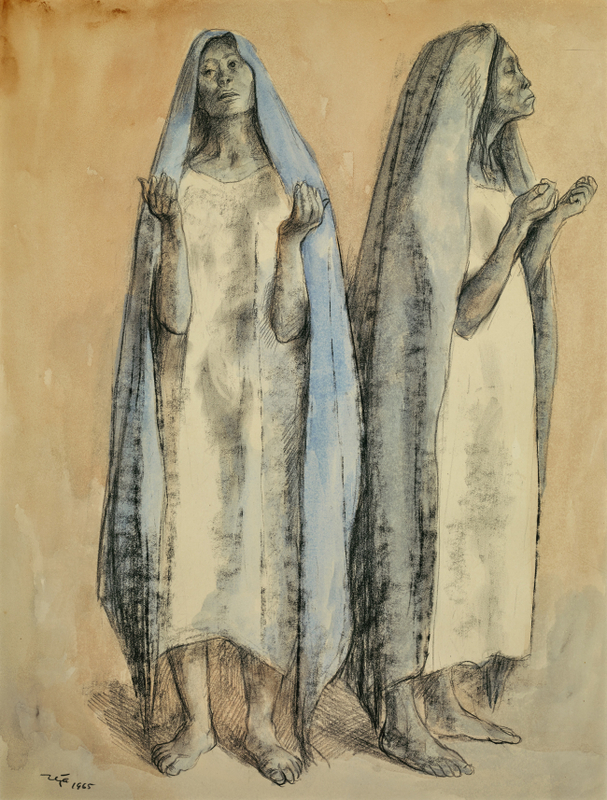 Among the work at this week’s Objects show is a $43,000 modernist painting of nuns on newsprint by Ramos Martinez that dates back to 1943. The artist began painting on paper in Paris and continued after moving to Los Angeles. Martindale said Shandling’s collection is reflective of his affinity for the Southwest and the Mexican and Latin style. Aside from the comedian’s collection, the show will also feature work by Mexican sculptor Betsabee Romero, Cuban artist Jose Bedia and other one-of-a-kind pieces from around the world. This week’s show opens Thursday with a gala in Santa Fe and runs through Sunday.